While most people would be familiar with PS. Cafe, we recently visited PS. Cafe Petit on Martin Road and was equally impressed by its brunch offering. With a casual setting, PS. 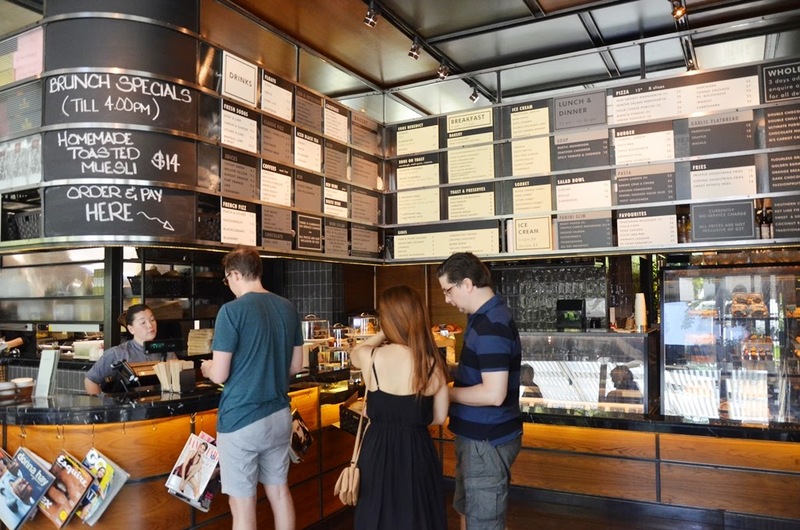 Cafe Petit is a gourmet takeaway and retail concept that offers traditional fast food such as pizzas and burgers. 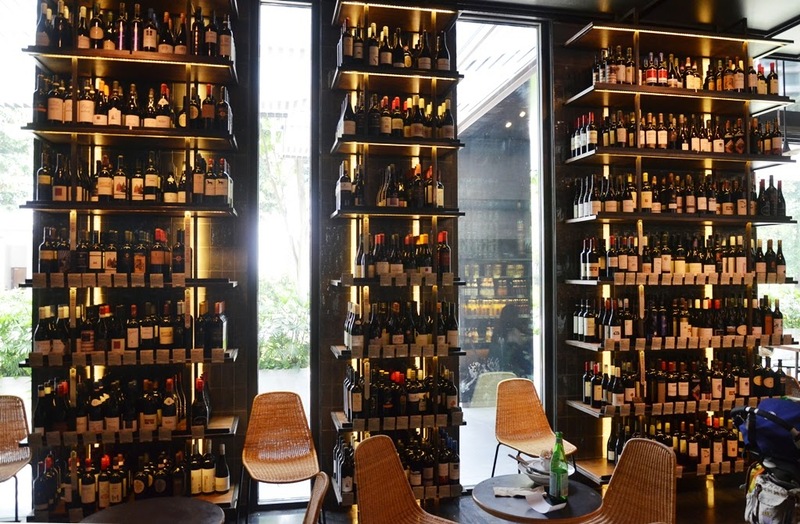 Another highlight about the place is that they work with over 20 different wine suppliers, hence they carry a curated selection of wine bottles which would suit the palate of most! As we stepped inside the restaurant, what struck us distinctly was that none of the occupied tables had dining guests that were purely local. Do not be mistaken, we are not being judgemental people here but this is clearly a place popular with the expats or it could simply be a case of visiting at the wrong time. It was one of those lazy days where we did not know what to order and quite simply jump to the 'Favourites' page of the menu. While I was still nursing a cough and sore throat, it was difficult to resist these beer-battered red snapper fillets paired with shoestring fries, dill pickled aioli. 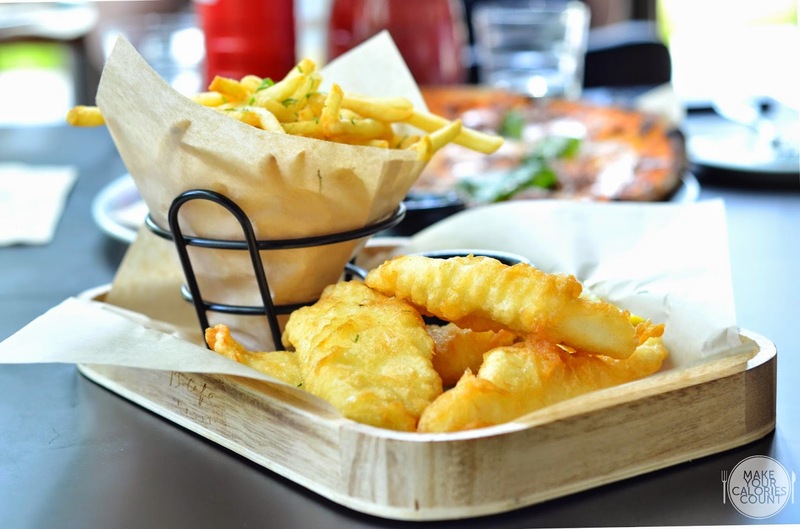 I enjoyed the crisp batter that coated the delicate fish and more importantly, it felt clean and fresh, without leaving us that stale oil after taste nor greasy lips that you would feel ashamed of especially with a group of friends. 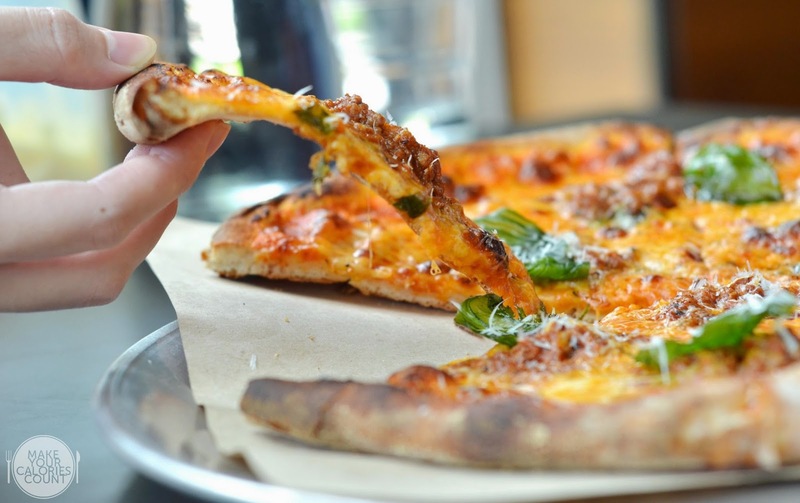 All the 12-inch pizzas are handmade to order hence there was a waiting time of about 20 - 30 minutes. 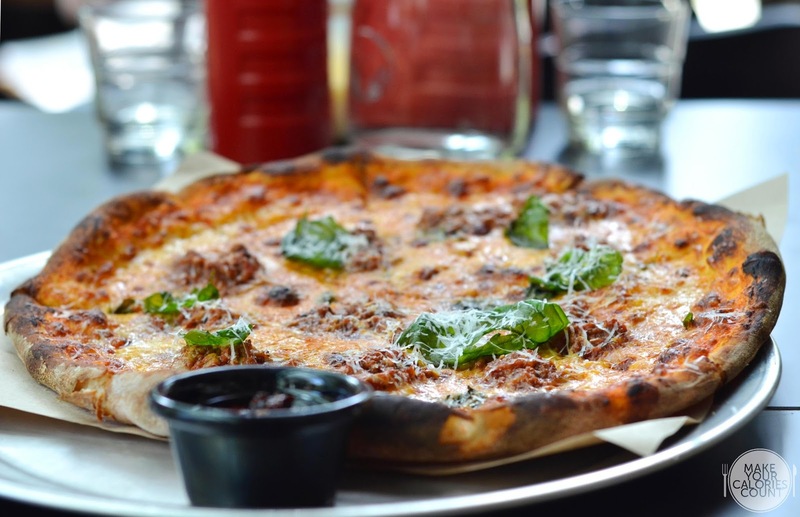 Almost like your Bolognese pasta but served on pizza, the usual ingredients such as tomato, beef, pork, mozzarella, parmesan and basil were responsible for bringing out the flavours. The thin pizza had a lovely crust on the edges and it was nicely baked with some burnt ends. What caught our surprise was that it was served with some traditional Chinese chilli oil. It was an interesting condiment to accompany the otherwise traditional Italian pizza but this hint of Asian twist surprisingly worked for our palate. 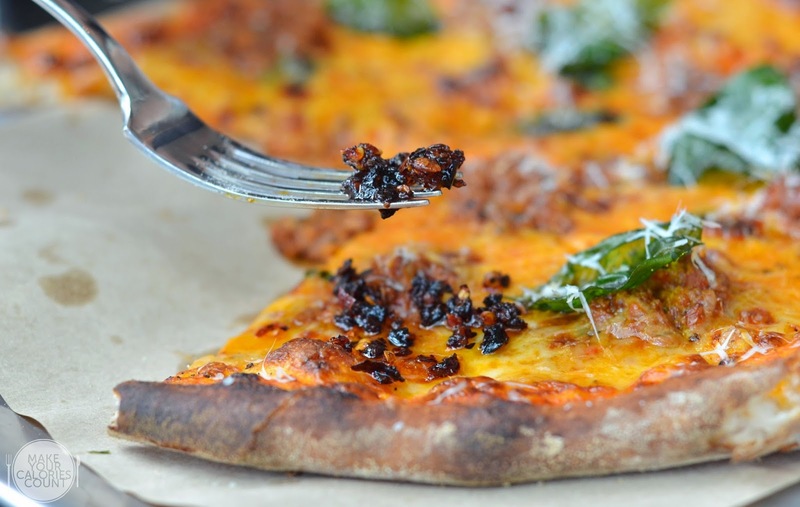 The heat from the chilli juxtaposed the plain savouriness of the pizza, making it quite addictive after a few mouthfuls! Dubbed as one of the signatures at PS. 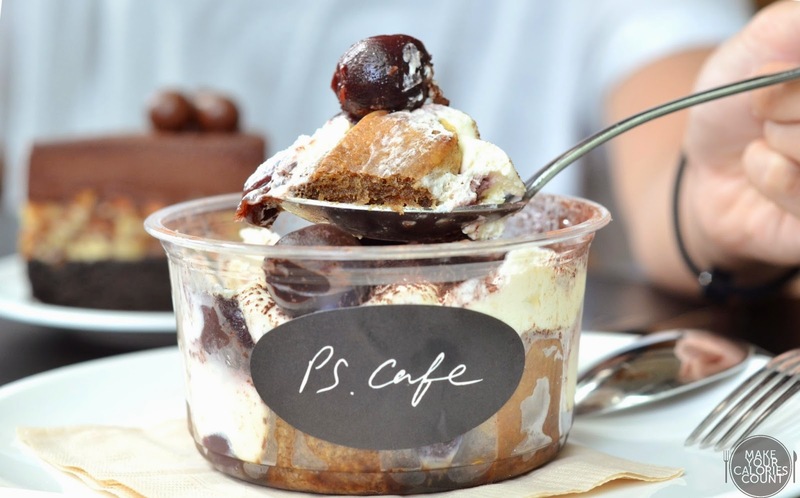 Cafe, the Petite sister restaurant carries this dessert too. Overall, it was an easy favourite since the distinctive flavours and components were all intact, such as the mascarpone, sponge and cream which were all spot-on. Personally, I felt that it lacked boldness from the alcohol but the ladies at the table certainly looked past that! Another signature on the menu, this was surely a sinful indulgence and would go well for chocolate lovers. 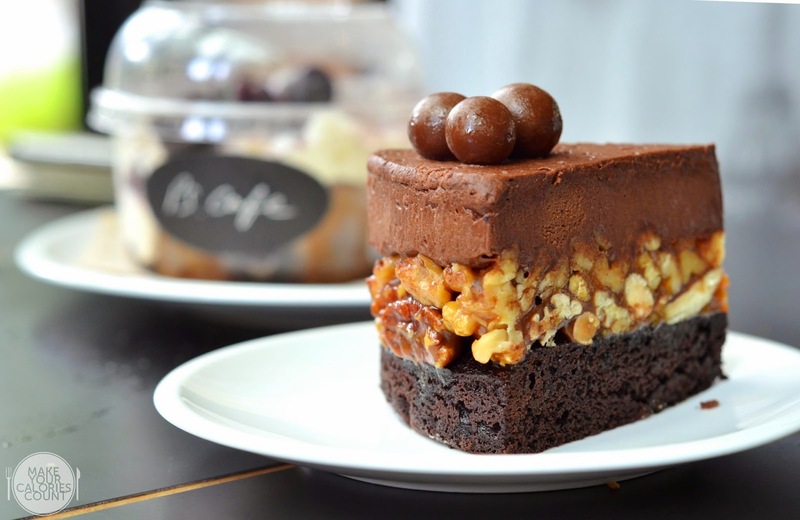 Topped with a refined chocolate mousse, the caramelised pecans were sandwiched by a dense dark chocolate cake that laid the foundation to the cake. I enjoyed the difference in textures as you slice across the varying layers and pack them all into a mouthful. Curated selection of wine bottles from all over the world. PS. Cafe Petit is quite a fuss-free place so expect minimal service from the crew. 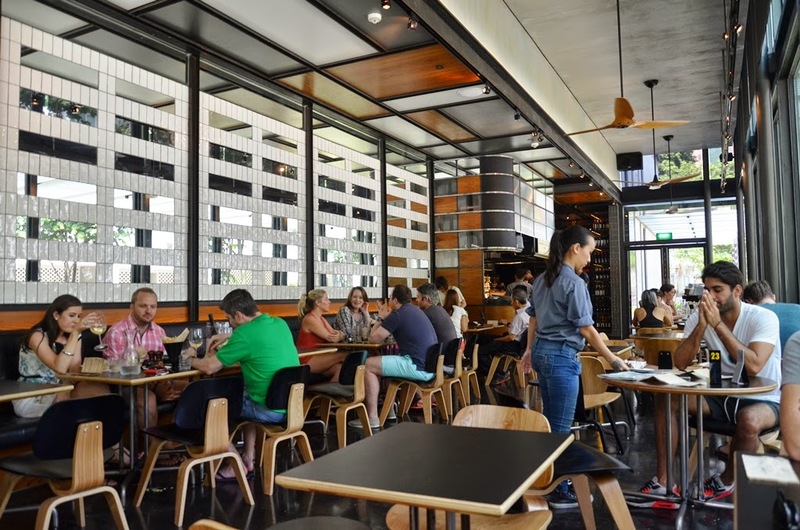 With the menu placed together with the cutlery and tap water refill section, you are expected to pick those up and head over to the counter to place your orders where payment would then be taken as well. The hot food would however be sent to your tables but in general, we were pretty much left to ourselves throughout our meal. If you are expecting the place to be service-oriented such as PS. Cafe, then it would not fit the bill. Otherwise, it would be a lovely place to chill over some decent food and catch up with friends! [SG] Henri Charpentier | flame of glory?